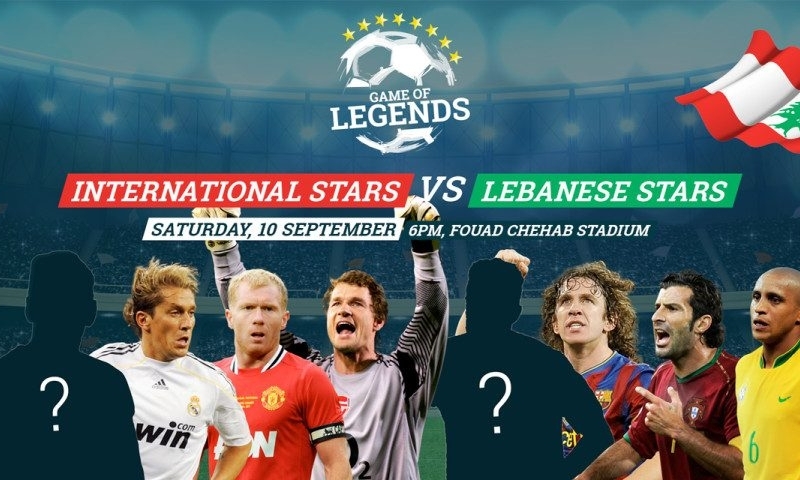 As soon as Michel Salgado, the former Real Madrid football player, and the freshly retired Lebanese football captain Rida Antar, announced the start list of the “Game of Legends” between the high caliber football legends and the Lebanese team, people started asking about the tickets! Roberto Carlos, Louis Figo, Carles Puyol, Paul Scholes, Jens Lehmann are the five players that will be playing with Michel SALGADO, who decided not to reveal the last two names of the players who will join him on the team! On the other hand, Ziad Samad, Youssef Mohamad, Fouad Hijazi, Faycal Antar, Moussa Hjeij and Abbas Atoui will be on ANTAR’s team! You should hurry and get your ticket now for the biggest football event of the year that will be held on the 10th of September in Fouad Chehab Stadium in Jounieh! The organizers decided to add 10 000 new seats for this special day in order to have a larger crowd for this unique game! How to buy you ticket? Well it is simple, there are two ways, either online on ihjoz.com or gostadiums.com, or you can go to Malik’s Bookshop or Liban Post to get the ticket and pay with cash! The tickets were divided into different categories which also include different prices: There are tickets available for 40$, 60$ 80$ and finally 100$. The seat will obviously differ from one class of ticket to another. It is a great privilege for our nation to be able to welcome such legends! It will undoubtedly inspire the new generation of footballers! This is game is not to miss! Save the date and of get your ticket! !